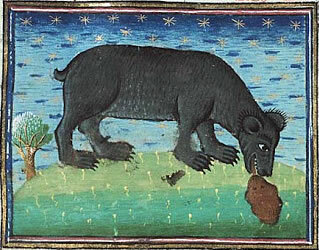 No, this is not an image of a bear eating poo. If you visited this blog during Lent, you could actually hear the crickets chirping. Indeed, unplugging from social media might have helped my mental wellbeing. But my pageviews plummeted from their already modest numbers. "In Shape, Out of Shape, and Ursine Urban Legends"
"Shape" is a ubiquitous word in the runner's lexicon. In general, it's used to signal a state of fitness in the past, present, or future. "When I was in college, I was in great shape." "I wish I was in better shape right now." "I just started a new training program. I should be in good shape soon." "Ever Heard of the Clericus Cup? Me Neither... Until Now"
The Clericus Cup. It's a soccer tournament played at the Vatican. Most of the participants are seminarians, so it's known as the "clerical equivalent of soccer's World Cup." Yea, I've never heard of it either. That is, until my friend Janelle Peters submitted an article about the tournament for the edited volume that I am working on, Gods, Games, and Globalization. Tom Herman coached football at Houston before he moved on to take over the Texas program. Back in the fall, with his star clearly on the rise, a news story grabbed my attention. "Tom Herman kisses all his players before Houston games"
Really? I thought that there had to be a catch. Something other than a coach's lips making contact with his players heads, necks, and cheeks. "That Moment When The Philadelphia Love Run Lived Up To Its Name"
"Putting a Price Tag On Service To The University?" FEVER: A Forum Engaging Values, Education, and Responsibility is a blog run by my friends at the Society for Values in Higher Education. Last month, they featured a lively exchange by my SFU colleagues Bill Strosnider and Denise Damico on community engagement and the liberal arts. You can read their contributions here and here. "Limbic Politics, Then and Now"
It all started with a news story about violent protests at a university after a cancelled talk. "Who is this speaker?" I wondered. So I Googled the name and discovered that he is a celebrity among the "alt-right" crowd. As a self-described "provocateur," he delights in ridiculing the norms and standards of what he considers to be liberal America. It's a strategy that has drawn him widespread attention, but has also led to his downfall. He recently resigned from Breitbart News after crossing a line that no one around him would dare to tolerate. I watched a few videos of this fast-talking political pot-stirrer. I resolved quickly that we are mistaken if we try to find some logical consistency in his positions. He transgresses for the sake of transgression. He trades in outrage. He prods, he pokes, and he laughs a dehumanizing laugh. "Sin boldly, but believe and rejoice in Christ more boldly still," proclaimed Martin Luther. It's one of those phrases that I have probably seen before, but is only now sticking with me. I came across this when re-reading Dietrich Bonhoeffer's The Cost of Discipleship. "'All people are strange in different ways'... Rest in Peace, Ed Whitlock"
Ed Whitlock, the Canadian runner who rewrote the 70+ record books and forever altered conceptions of human endurance performance in older age, died on Monday in Toronto, not far from his home in Milton, Ontario. . . . Just last October, at 85, he ran 3:56:33 at the Toronto Marathon, becoming the first in his age group to break 4:00 and taking 28 minutes off the previous 85+ record. "A Big Day for SFU Men's Basketball!" This past Saturday, the Red Flash won a thrilling playoff game. And then they showed up on ESPN. Check out "the shot" if you haven't seen it already (it's at the 2:24 mark). Now it's on to the NEC championship game against Mount Saint Mary's. I'm traveling to Emmitsburg tonight to watch. If SFU wins, they head to the NCAA tournament for the first time since 1991. So it's been a while. "Spring Break Means.... Making Tofu?" It's day one of my social media fast. I signed off last night, not before learning that my friend Doug Thompson will cross the Tiber and join me in this Lenten exercise. In his words, Doug hopes that the time away will help him to "figure out my writing practice and clear my head of the chatter."